Want the absolute quickest way to get your dive count right? 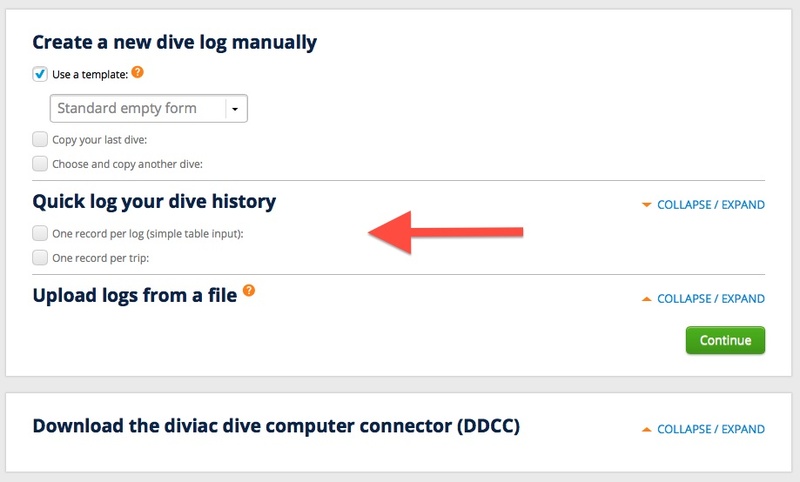 Simply enter 1 placeholder "trip" with the date of your first dive and the # dives equal to all your previous dives. 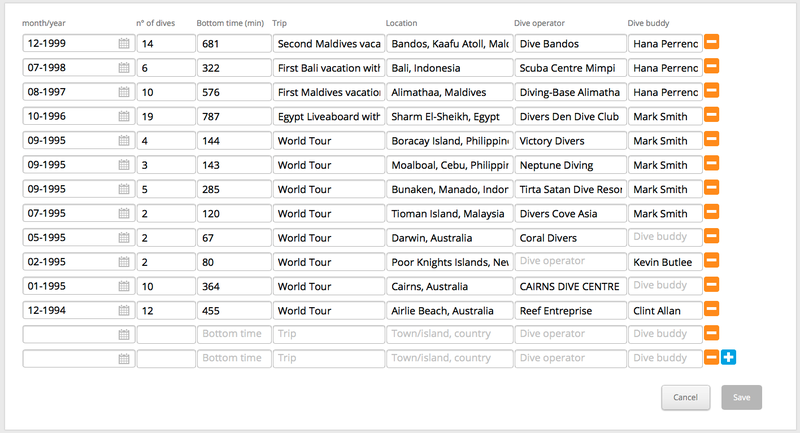 Once your done, your profile summary will indicate the correct # of years of diving and correct total # of dives. Have some more time? Enter your old logs grouped by trips. This has the benefit of putting a pin on the map for every trip you've done, giving you a better overview of your dive history. Willing to invest even more time to see each old log, with its location, dive site, dive center and buddy? Then use the simplified table input functionality.